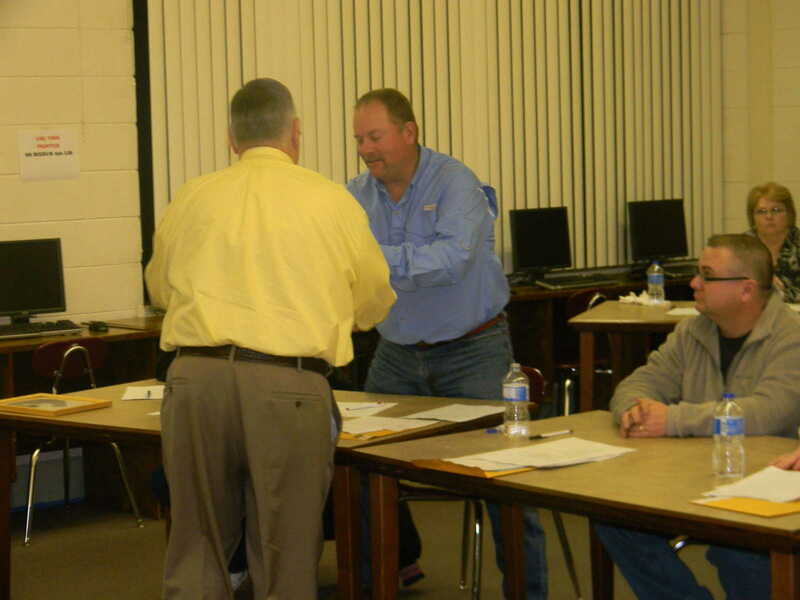 Staff photo by Deanna Coronado Superintendent Larry Wood, presenting on left, shakes the hand of Senath-Hornersville Board of Education President, Byron Small, as he receives an award for his dedication and service to the district. 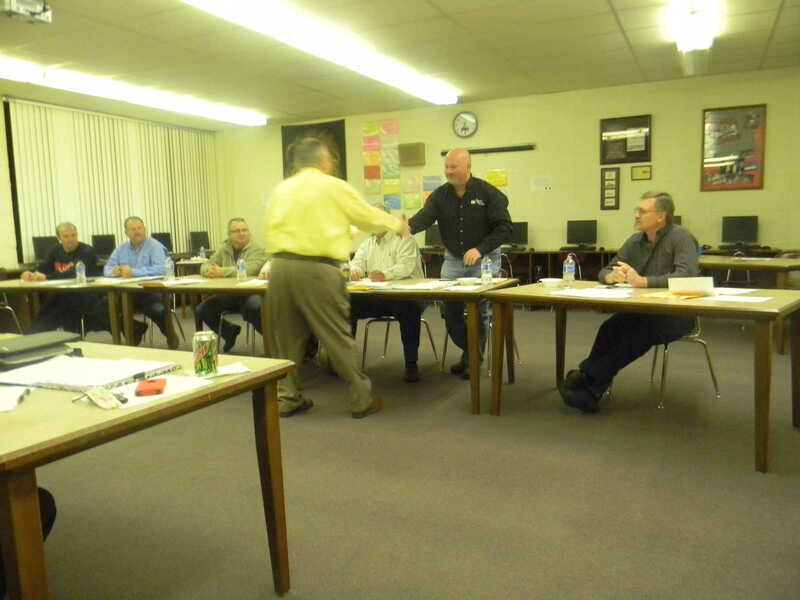 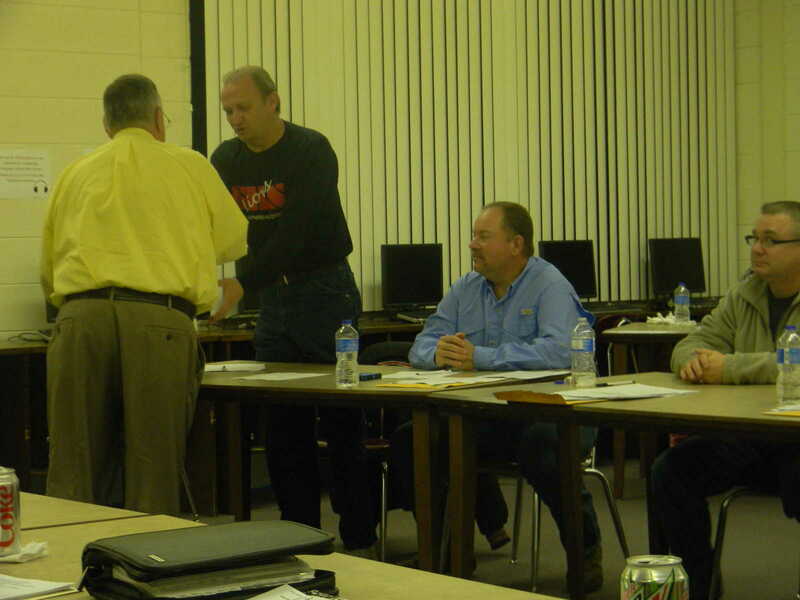 Additional board members recognized by the school for their position within the executive decision-making group include Dana Autry, Carl Johnson, Robby Shrum, Eddie Lomax, Todd Fouts and Kenny Crawford. 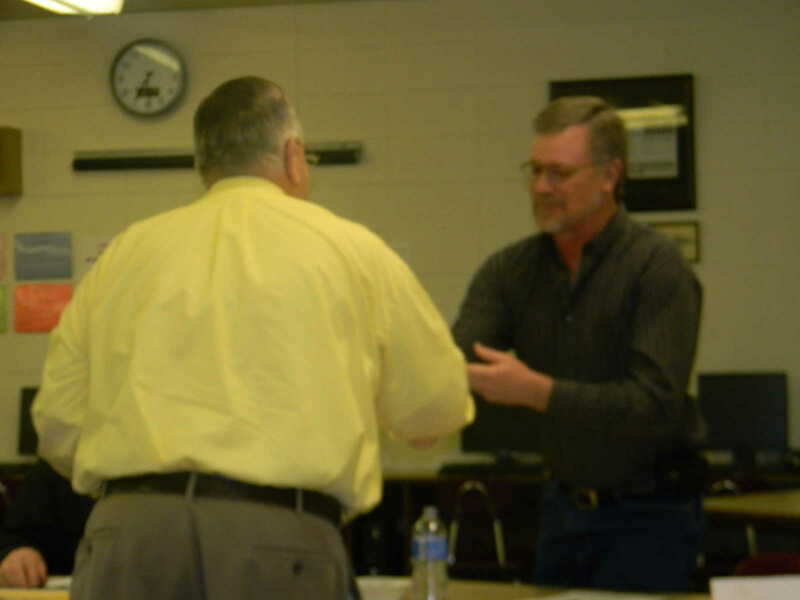 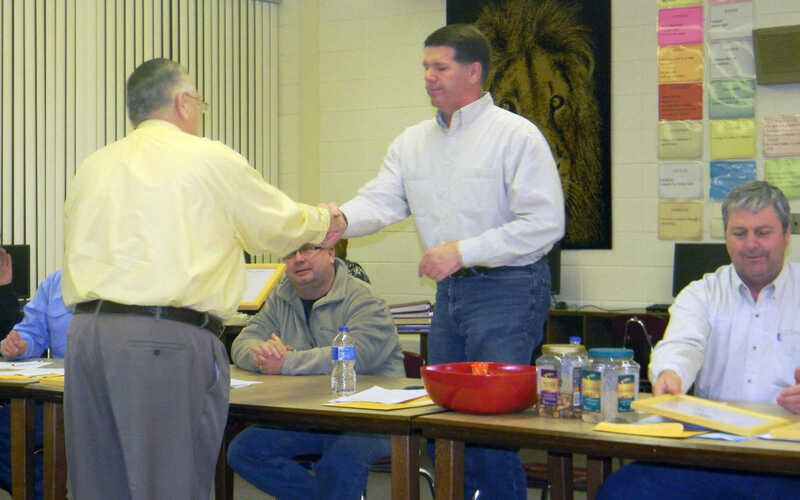 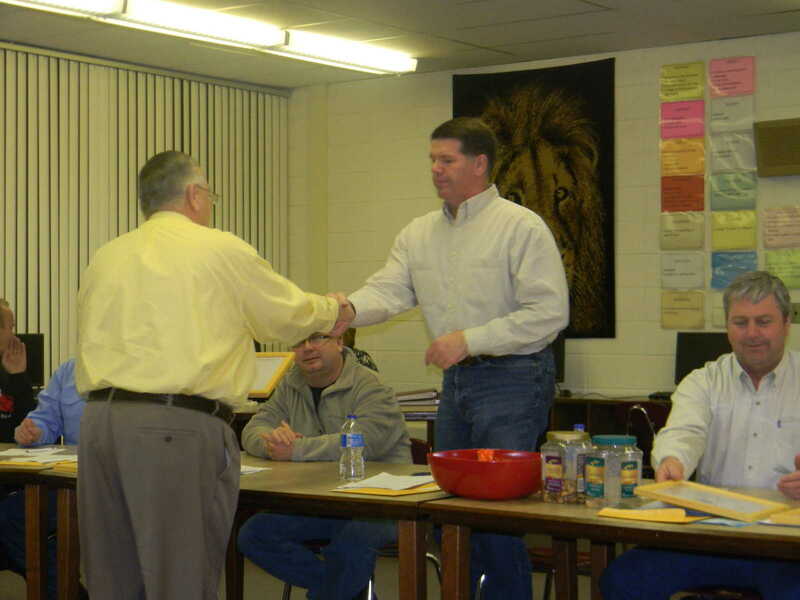 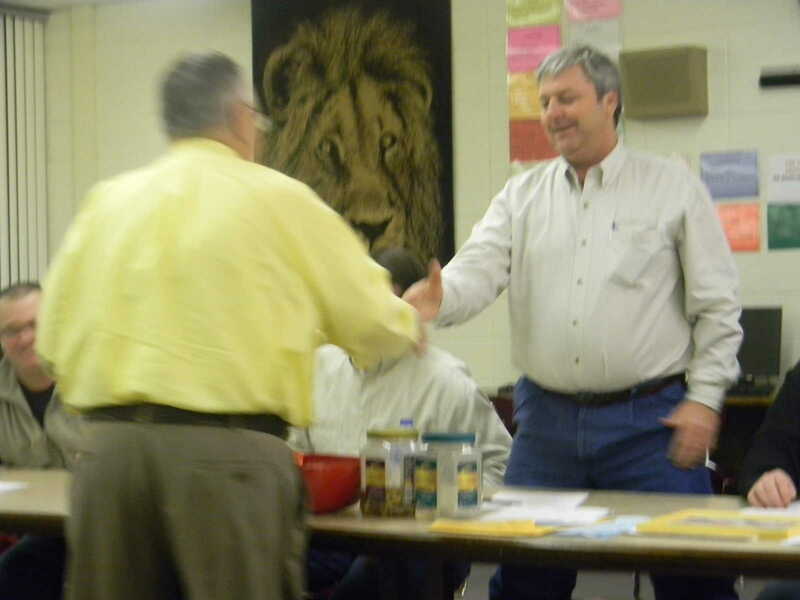 The group was recognized in conjunction with Missouri's School Board Recognition Week (January 22-28, 2012) and was read a letter from Governor Jay Nixon whom thanked them for their service.